You must honor their decision, or risk breaking up the relationship and having your daughter blame you for her unhappiness. I say this, not because I believe interfaith children should always be given one religion (in fact, my book describes the benefits of raising them with both). But it is not helpful for parents to lobby adult children as they negotiate this important decision. You can comfort yourself with the fact that the couple has generously agreed that you can share your cultural and religious practices with your future grandchildren, even if they are labeled Catholic and given formal Catholic education. The experience of a Passover seder, or lighting Hanukkah candles, with grandparents will inevitably be formative. And so, you can comfort yourself with the idea that these children, like all people with heritage in more than one religion, will be interfaith on some deep level, in the sense that they will grow up knowing that they are part of an extended interfaith family. You can comfort yourself with the fact that many interfaith couples do renegotiate their agreement on how to raise children, at various points over the years together. And you can comfort yourself with the knowledge that according to Pew Research, many children grow up and change their religious practices, beliefs, and affiliations in adulthood, sometimes more than once. But for now, your task is to focus on supporting your daughter, and envisioning your important role in the lives of any future grandchildren. You want to carefully avoid pressuring them or trying to change the religious identity their parents have chosen for them. But at the same time, you can make the Jewish practice you model for them as meaningful and joyous and inclusive as you possibly can. 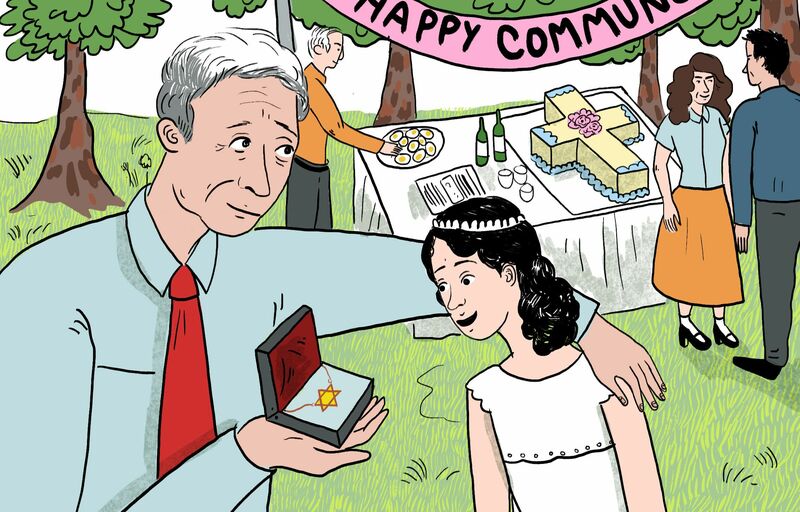 By being great Jewish grandparents, you will ensure that your grandchildren have a certain amount of Jewish literacy, and that they feel an affection for and connection to Judaism, no matter how they identify in adulthood.